Gérard Abiton vises regelmæssigt på internationale scener. Hver koncert er en begivenhed i den musikalske verden, han spiller som solist eller med et orkester. I 1981 vandt han den 37. Internationale Konkurrence for Musical Performers i Genève og modtager de specielle "Franck Martin" musikere fra Genève. I 1983 blev han vinder af Association of Georges Cziffra. Gérard Abiton begyndte sin lærerkarriere ved at få et certifikat af aptitutde "First named" for at kunne levere guitar lektioner i de nationale konservatorier i Frankrig. I 10 år har han undervist i Frankrig på National School of Rennes, mellem 1993 og 2009 på National School of Orleans og siden 2010 lærte han på Regionale Conservatory og Superior Center of Paris. Han er en jury af nationale og internationale konkurrencer: "Guitarens forår" (Belgien); CI Rene Bartoli, Frankrig - CI Antony, Frankrig - CI Maurizio Biasini, Bologna (Italien), CI "Francisco Tarrega" (Spanien). Gérard Abiton underviser på mesterklasser over hele verden: Norge, Danmark, USA, Rusland, Bulgarien, Ukraine, Tyskland, England, Holland, Italien, Spanien. Gerard Abiton always renews his repertory in quest of musical emotions, unbelievable perfection, and simple happiness, which he easily shares. A story close to his heart, shall we say. Gerard Abiton performs regularly on international stages. His first teacher was the guitarist and tenor Christian Jean. 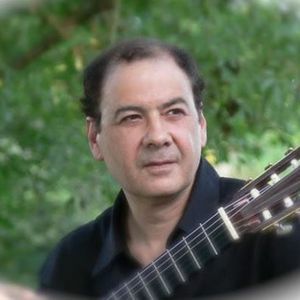 This encounter has durably influenced Gerard Abiton's musical and aesthetic direction, in particular in the transition from natural expression to the performance of the guitar. "I prefer what moves me to what surprises me": this quote by François Couperin always guide her sensitive approach to music. At 16 years old, Gerard Abiton joined the Conservatoire Supérieur National de Musique of Paris (cnsmdp) in Alexander Lagoya's class. In parallel to his instrumental studies, he studied harmony and counterpoint with Alain Truchot, his professor at the Conservatoire national superieur de musique of Paris. 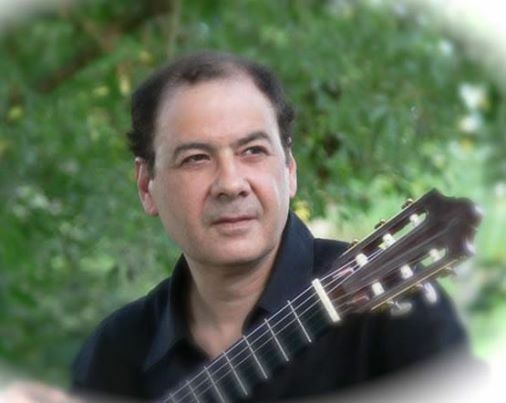 Gerard Abiton also attended the summer classes of Andres Segovia (Spain), Abel Carlevaro (Uruguay), and John Williams (Australia / Great Britain). In 1990 and 1991, he completed his training by attending the baroque interpretation classes of Herve Niquet, the Musical Director of the "Concert Spirituel". In 1981, Gerard Abiton won the 37th International Contest of Musical Execution of Geneva and the "Franck Martin" special price from the Musicians Association of Geneva. In 1983, he became the winner of the Georges Cziffra association. Since 2010 he teaches at the "Conservatoire à Rayonnement Régional" and the "Pôle Supérieur" of Paris (France) and he regularly sits at juries of nationals and international contests. He has been soloist with National Symphonic Orchestra of Cuba, Collegium Musicum of Bale, Sinfonia of Manchester, Symphonic Orchestra of Orleans, Orchestre du CRR de Paris, Ensemble Orchestral Stringendo de Paris, Orchestre de la Suisse Romande, National Symphonic Orchestra of Mexico, Orchestre Symphonique du Rhin and many others. Gerard Abiton's repertoire is eclectic, with a certain tendency for the first half XXth century's music as bears his recordings devoted to the composers M.M. Ponce, J. Turina, F. Mompou, F.M. Torroba, J. Rodrigo and D. Scarlatti. Dedicated to many works of composers - J.C. Wolff, P. Leroux, G. Iglesia, R. Campo, Y. Krier, A. Margoni, J.D. Krynen, S. Assad, Tôn Thât Tiet, M. Delaistier, T. Brenet, G. Drozd, R. Creuse...- Gerard Abiton reveals the guitar's integration in the different musical trends of our time.